This is part two of our three-part series on weather at an outdoor wedding in west Texas. You know the old saying, “If you don’t like the West Texas weather, just wait a minute, it will change” is really true. This was totally apparent in one of our recent outdoor weddings near Amarillo. We had 60 mile per hour winds, then rain, and by mid-afternoon, the sun was shining and the skies were clear. The best thing to do is to be as prepared as possible, and just roll with it. We have included a list of things to help you handle what Mother Nature may throw your way at an outdoor wedding in west Texas. In this three-part series, we cover heat, seasons, decor, and so much more. Stay tuned for tips on having a great outdoor wedding in west Texas. 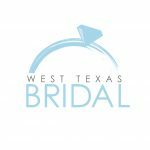 This week’s tips are about handing heat, seasons, and temperature changes at your west Texas outdoor wedding. At an outdoor wedding in west Texas, heat can be a big problem. On hot, sunny days, make sure you have a shady place for your elderly guests and families with small children to cool off. Heat exhaustion can come on very quickly. Have plenty of cold water for your guests to drink and you may consider providing fans. Many of our brides have doubled their wedding program as fans. One of our specialties at Walnut Tree Weddings is handling these details so the wedding party can enjoy their day. Choose the time of day wisely for the time of year you are getting married. For example, an outdoor summer wedding in Amarillo is much more comfortable in the late evening, whereas, a winter outdoor wedding may be more comfortable in mid-afternoon. Remember that our West Texas evenings can get chilly. If you have a spring, fall or winter outdoor wedding, consider having blankets or jackets available for your guests. Next week, we will cover three more topics for a successful outdoor West Texas wedding: comfortable environments, decor and the unexpected. Stay tuned. If you missed last week’s article covering wind, bugs, and rain, click here to read those tips.